This article describes how to build a Linux based telephone answering machine using a low cost winmodem (softmodem) for the telephone interface. We describe how to install the drivers and libraries, and how to select and install the proper modem card. Our answering machine program is a couple of hundred lines of C code in a single file. If you've ever used a telephone you should have no trouble understanding the code. Intel 537 based modems are readily available for less than ten dollars. You can probably find one on the web by searching on the terms "price" and "intel 537". The driver we are going to use requires the Intel chip, so be sure you have the right modem before starting. Our answering machine uses drivers and libraries which are part of the Asterisk open-source PBX. Asterisk can work as an answering machine but Asterisk is huge and has a steep learning curve for installation and configuration. The uncompressed Asterisk package is over 16 megabytes, well in excess of our 5 kilobyte source file. The overall architecture of our answering machine is shown in the attached diagram. The driver for the modem card is the wcfxo module. This interfaces to a higher level driver called "zaptel". The division of the driver into two pieces helps the Asterisk developers minimize how much code they need to write for new types of PC telephony interface cards. The zaptel driver delivers a 64 Kbps stream of mu-law samples to the user space application. Zaptel also has IO control routines (ioctl's) to go on-hook, off-hook, and to indicate that the phone line is ringing. The Zapata library (libzap) processes the 64 Kbps stream of data to extract caller ID and DTMF signals. The competence of libzap is why our answering machine application is so simple. Our answering machine is pretty minimal as telephony applications go. It extracts and displays to standard out the caller ID information for incoming calls. If the phone rings more than four times, it answers the phone and plays a greeting. The greeting message asks the caller to press one to leave a message. Having the caller press a button eliminates messages from so called "bulk dialers". Voice mail is left as mu-law encoded data in a file with the date and time encoded into the file name. Our answering machine requires the zaptel drivers and the Zapata library, both of which are available from the Asterisk web site. Two drivers, wcfxo and zaptel, are required. Both are in the zaptel package. These drivers are in the older 1.0.9 release which is archieved here, but you should probably get the latest package from the Downloads section on the Asterisk home page or from Digium which hosts the download site. I run the answering machine as myself so I've added the following line to the udev permissions file (/etc/udev/permissions.d/00-udev.permissions). The final piece of zaptel configuration is to tell it that we have one interface to the telephone "central office". Edit /etc/zaptel.conf and add the following line to the end. If you don't live in the US, you should should make one other change to zaptel.conf. You need to uncomment the line with your country code and make that country code the defaultzone. The Zapata library is no longer used by Asterisk, so it has been relegated to the 'old' directory on the download site. An archieved version of the 1.0.1 release is available here but other, later versions may be on the Digium FTP site. Untar the file, do a 'make' and a 'make install' (as root). The Zapata library does not need any configuration. 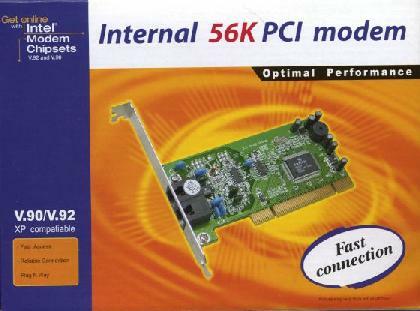 As mentioned above, you need to be sure to get an Intel 537 compatible modem. These modems should be easy to find and should be relatively inexpensive. To call it a "modem" is not quite correct. It is really more of a "phone line interface". Its 64 Kbps stream is 8000 bytes per second, which the wcfxo/zaptel driver delivers in 8 byte chunks. This means a thousand interrupts per second! It is the interrupt load that makes installing the modem card a little tricky. You need to install it in a PCI slot with an interrupt that is not shared by any other device. Check the documentation for your motherboard to find which interrupts are used for which slots and how those interrupts are used by the internal peripherals. If you are very unlucky, you may find that the interrupt for every slot on your motherboard is shared and used. You can try disabling internal peripherals but wcfxo just won't work on some motherboards. If you've completed the hardware and software installation, you can verify your system with a few commands. Install the modules and examine the resulting syslog output. Don't worry about the "Sharing IRQ 5" log message. This reports that the IRQ can be shared but does not imply that another Linux device is using it. An lsmod should show the following three modules. Verify that the wcfxo driver is generating a thousand interrupts per second and that it is not shared with any other devices. The zaptel driver includes a utility to view the driver configuration. Use it to verify that it has one interface. If this fails, check the fxsks=1 line in the configuration file. Our answering machine displays caller ID information to standard out and saves voice mail in files with the date and time encoded into the file name. The hard work in the answering machine is done by the Zapata library. It does the caller ID, DTMF tone detection, and reads and writes mu-law audio files. Here is a skeleton of the code in the answering machine. The above code should give you a feel for how to write telephony applications using the Zapata library. The library also has routines that you can use to make outgoing calls and to help make conference calls. For a simple answering machine, this program works surprisingly well. Its simplicity is its best feature. Caller ID routing: The call would be routed based on the phone number of the caller. Some callers would go directly to voice mail. Capture outgoing calls: The answering machine should be able to log the number dialed and duration of outgoing calls. In-Progress call recording: Wouldn't it be handy to be able to press a button and have your current call recorded. This would be a more reliable way to take notes during a call. Of course you'd want to tell the other person that you are recording the call and you'd want the machine to play a beep every 10 seconds or so. Email delivery of voice mail: We could convert the mu-law voice mail files to WAV and have the voice mail emailed to us. Pager or message forwarding: Use libzap's ability to dial out to tell a pager that there is a new message, or have the application call your cell phone and play the voice mail. FAX/Voice/Modem switch: It would be nice to be able to route the call based on the type of call. In particular, it would be nice to be able to receive FAXes. The Zapata library uses blocking IO, making it a little difficult to use a select() loop to manage a user interface while waiting for incoming calls. Perhaps a threaded application could step around this problem.